Who isn’t a fan of the Mazda MX-5 RF? We know we are. 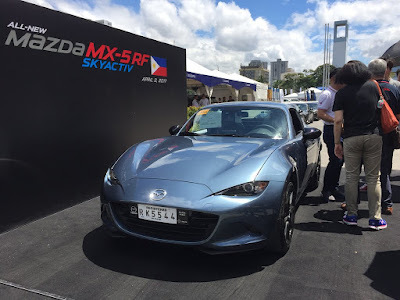 So it was a rare treat for us to be able to meet, greet, and sit down with Mr. Masahashi Nakayama, the former Chief Designer of the MX-5 ND and currently MX-5 Program Head, right here in Manila. We admit – we were tongue-tied and starstruck, simply from being able to shake the hand of the man who designed such an extraordinary vehicle. 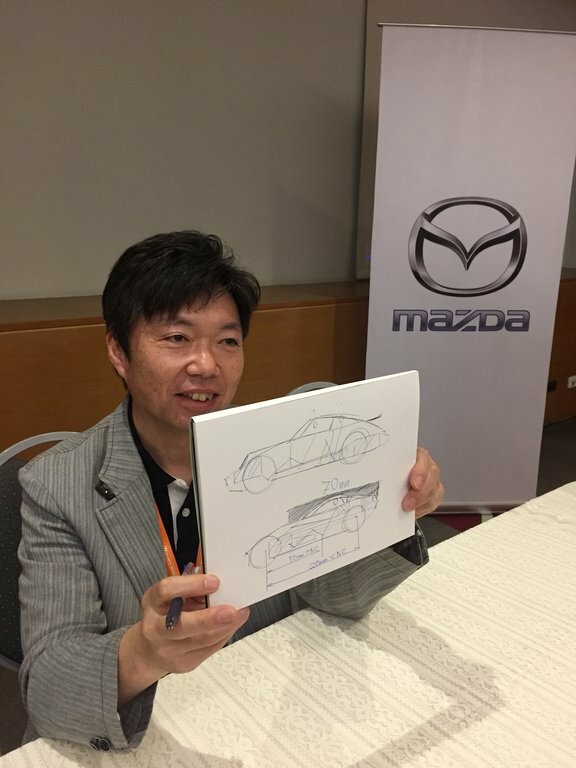 However, it was more interesting to listen to the insights behind the design and how Mazda stayed true to the philosophy of jinba-ittai in its quest for the perfect sports car. Twenty years ago, the first MX-5 roadster hit the streets and grew an incredible fan base. The Miata was the epitome of jinba-ittai – without even starting the engine, the connection it evoked between the driver and the car can be felt immediately. The cocoon-like interior and elegantly curved bucket seat is snug and comfortable, with the wheel and controls positioned within ergonomic angles. What is often ignored, though, is the fact that these unique details extend to the passenger, as well. As a companion, you are treated to almost the same experience, sans the driving. The MX-5 RF is the version of the bestselling roadster that features a retractable hardtop and fastback styling. Hence, “RF.” But what exactly inspired Mazda to design a hardtop when soft tops are most iconic for convertible sports cars, even until today? According to Nakayama-san, it was a requirement that came with the times. Over the years, the following for the MX-5 grew. But as with any product, the consumer base plateaued, especially with the evolution of automotive standards. Security is one of them. The answer to this challenge is the RF – a more protective targa hardtop, but with a 2-way retractable mechanism that cleanly tucks away to maintain overall weight balance and keep the well-loved top-down Miata design uncompromised. Interestingly enough, the design of the MX-5 RF was also improved. Its center of gravity was adjusted to be right where the driver is seated, resulting in equal distance between the driver to the front and back wheels. This keeps the driver secure and in control at all times. We’re not surprised. 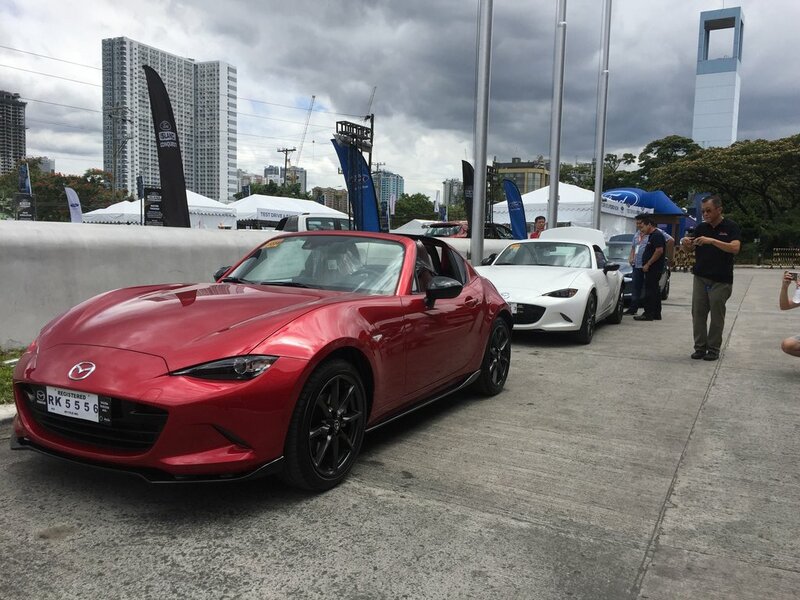 As Mazda Philippines CEO, Steven Tan quipped, “The goal is to create a more perfect car with every generation.” More perfect, but consistent in its foundation of making the car feel like a natural extension of the driver’s body. Following this train of thought, the MX-5 RF is already the fourth generation of the Miata line and has addressed challenges without sacrificing design. We couldn’t help but wonder – what’s next for the iconic Japanese roadster, given the demands in global automotive safety standards and the rising popularity of SUVs? The answer from Nakayama-san was simple and engaging. The MX-5 was built on three principles that has been consistent through the years – first, its short-wheel base, which makes the sports car light and easy to maneuver on city streets, yet stable enough for that coveted burst of speed. Second, the MX-5 features a lightweight structure, regardless of whether it has a soft top or a hardtop installed as roofing. And third, it maintains enough trunk space for the carry-on of two people (because, of course, a roadster is meant for a sweet ride out of town). These three principles allowed Mazda to deliver the expectations of Miata fans through the ages, without compromising function and practicality. And so Nakayama-san threw the question back. What do we think should be next? How else can the Roadster be improved? Remember – what made the Miata one of the most iconic, coveted, fun-driving sports car for decades, is its foundation of delivering a perfect unity between man and machine, and in evoking a sense of awe with every drive. 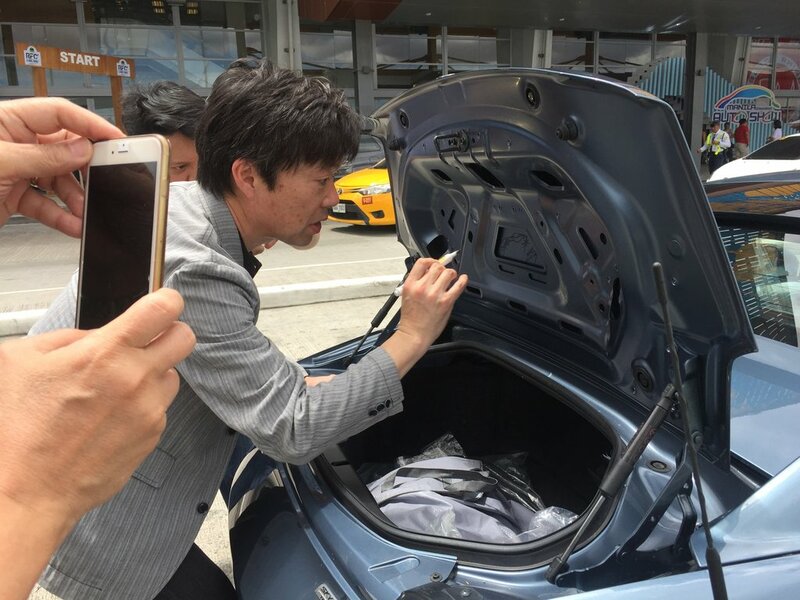 In this regard, it makes sense that it is only with the insight of a new generation of customers that Mazda can create an even more perfect Roadster. And it is also this openness to engage that reassures us MX-5 fans that the well-loved convertible is here to stay and it can only get better. The answer to every question is Miata.